After the site for this church was purchased in 1905, A. O. Von Herbulis, trained in the cathedrals of Europe, was commissioned for the design. The old fire tower is one of the last of its kind in the United States. One home in the historic strip hides secret compartments and the ghostly songs of long-gone canaries. 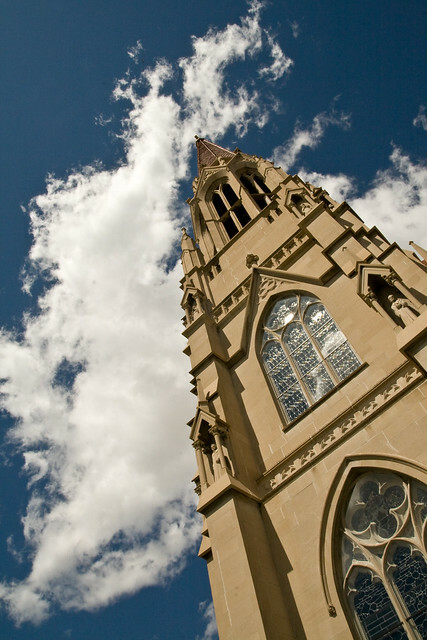 Perhaps that’s why this neo-Gothic design complete with soaring spires looks a bit out of place in the otherwise squat town of Helena, Montana. 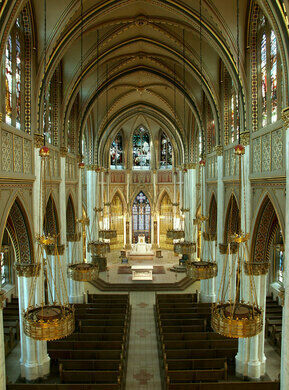 Modeled on the famous Votive Church of the Sacred Heart in Vienna, Austria, the Cathedral of St. Helena is enjoyed by residents, who appreciate its grandeur. The spires rise 230 feet above street level and can be seen from all points in the town. The church is noted for its artistic interior as much as for its impressive exterior. High, domed ceilings and hand-carved oak pews greet visitors to the church, who are also immediately struck by the tall pillars and striking lighting fixtures throughout. 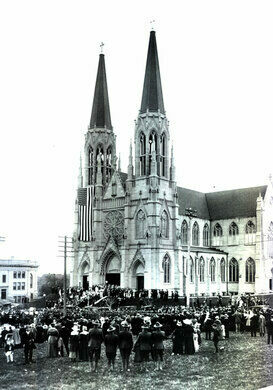 Construction on the cathedral began in 1908, with the cornerstone laid on October 4. 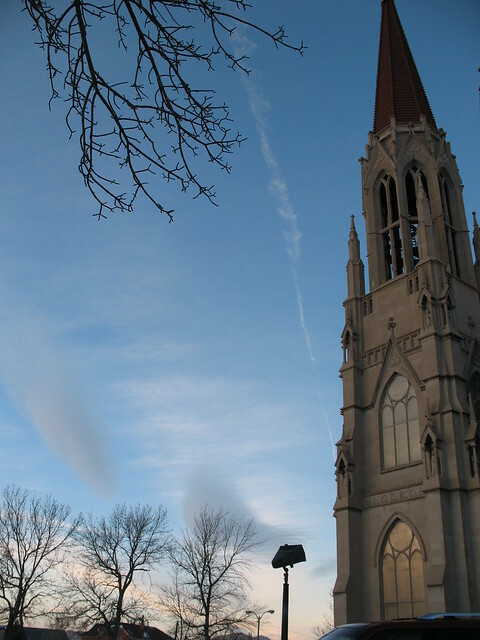 After six years, the community got together to celebrate the Eucharist for the first time in their new church on November 8, 1914, though the finishing touches weren’t put on the building until a decade later, in June of 1924. A series of earthquakes hit Montana in 1935, and sections of the church were almost completely destroyed. Reconstruction was completed three years later, but that wasn’t the last time the church would be repaired. The cathedral was renovated again from 1982 to 1983, when many of the famous stained glass windows were touched up, and again from 1999 to 2000, when columns that had been damaged in a Montana Rail Link train crash 11 years earlier were repaired. The windows (there is a gallery of different designs on the church’s official website) were made and installed by the F. X. Zettler Firm of Munich, Bavaria. It took years to finish installing all of the church’s 59 windows, which were hand-crafted in Bavaria and shipped to Montana. Many of the windows are part of a series that tells the story of the church from the fall of Adam and Eve up through the early 20th century. A collection of huge, site-specific sculptures sitting in the Montana woods.